Microsoft will end the distribution of Windows 7 and 8.1 licenses to computer manufacturers. This has been reported in Tech Blade last year. Given that Windows 7 was supposed to have been ended last 2014, Microsoft has extended it for another 2 years since then. As of Oct. 31, Redmond, Wash. stopped selling Windows 7 Professional and versions of Windows 8.1 OEMs, according to PCWorld. Windows 7’s ending came a year before as the end of sales warning was disseminated by Microsoft. 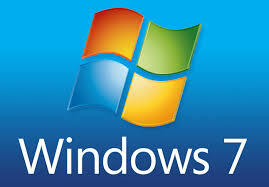 Windows 7 was continued even though Windows 8 was already in the market by 2014. It is estimated that 48% of computer owners still use Windows 7 and the other 52% are composed of Windows 10, 8 and other operating systems. Organizations that have enterprise licensing agreements and Software Assurance may downgrade the OS from a newly purchased PC from Windows 10 to Windows 7 to continue using the older edition. OEMs will also be allowed to use whatever licenses they have in stock. Windows 7 will continue to have support until 2020. The new Windows 10 will be the prerequisite of more software and games as part of Microsoft’s aggressive campaign to upgrade to Windows 10.